Step 1: Pay for your cards to be signed OR altered and signed. 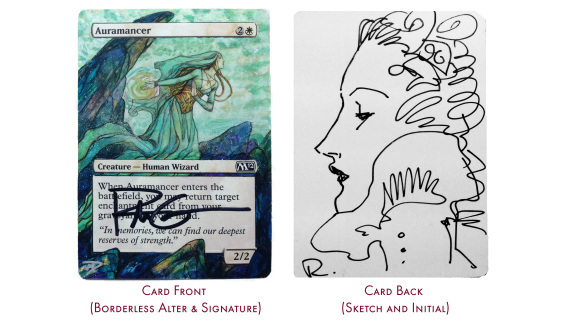 For Rebecca to be able to offer signings and alters and to return your cards to you in a timely manner, cards are batched in the outlined quantities above. My advice for quantities of cards desired to be signed and/or altered under these amounts would be to get together with some friends and all chip in together OR to see Rebecca at a show! Following her on Instagram or Facebook is generally the easiest way to know when and where she'll be for a show. Please also note, there is not a discount for very large orders of signings, as this price represents Rebecca's time, return domestic shipping, and the increased value that a signed card of hers will have. 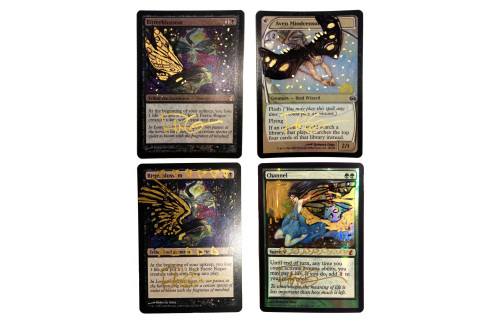 NOW OFFERING SHADOW SIGNATURES! Due to the popularity of shadow signature requests, we are now officially offering shadow signatures. 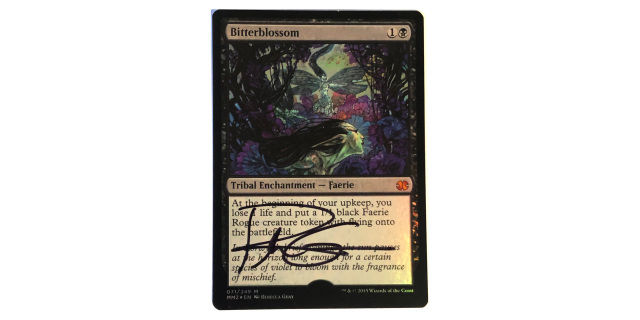 If you would like shadow signatures on your batch of 20 cards, please select the type from the drop down menu after clicking "View Details" for 20 Signatures. 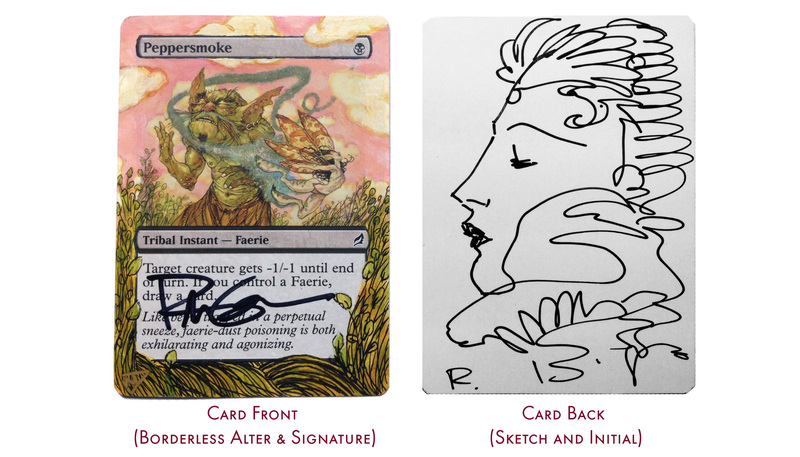 *Please Note that these cards are artist proofs! That means these cards have a regular front and a white back. This makes them NOT legal for tournament play, but they are highly collectible! 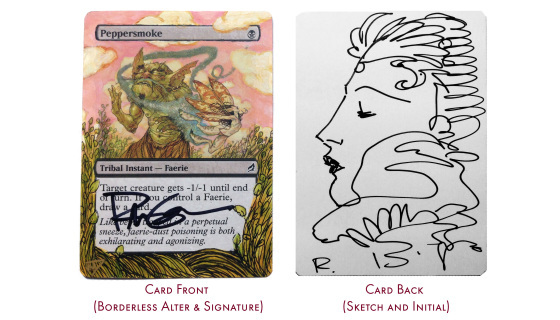 All sketches and alterations will be similar to the cards shown and are currently up to the complete discretion of Rebecca and her assistant Daneen. Please allow for a two week turnaround time from purchase. Step 2: Print your receipt to include with your cards. Make sure the return address for the cards is printed or written on the receipt. ﻿All cards received without a receipt of payment will be returned unsigned. ﻿Please contact us prior to return shipping if you desire to add insurance as the value of cards vary and we are not responsible for replacement of lost or damaged cards in transit. If you desire for your cards to be signed with a specific color or pen, please include that in with your cards when shipping. Step 3: Only click on the following link if you have your cards, receipt, and return address all included in an envelope and ready to mail AND have contacted us about added insurance if you want it! Please allow for a two week turnaround time from receipt of your cards. Customization, sketches, and proofs desired outside the format above are not available at this time. Prices include return shipping and handling within the domestic US. For shipping to countries outside the US, there is an added shipping cost. Once you’re directed to the paypal payment page, click “ship outside U.S.” located under the Item total and select your country. Then click update and your shipping will be calculated. Email us if you have any issues with this and we can send a personalized paypal invoice.